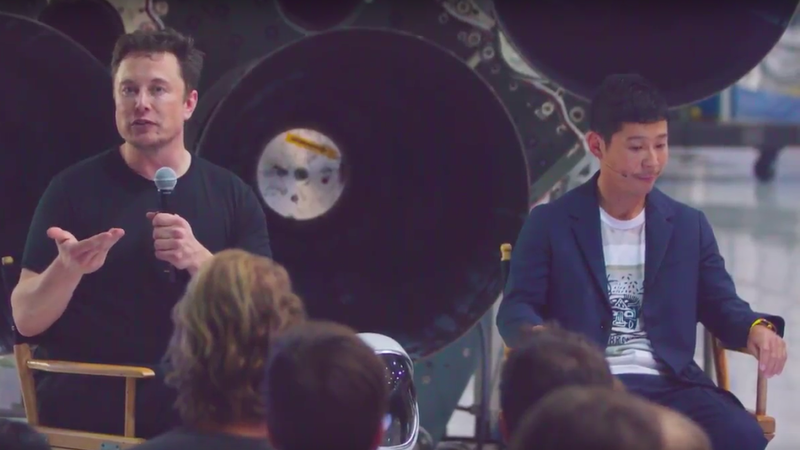 SpaceX CEO Elon Musk (L) and Yusaku Maezawa during the announcement. Screengrab from SpaceX livestream. SpaceX CEO Elon Musk announced Monday that the company plans to send Japanese billionaire Yusaku Maezawa to the moon on its Big Falcon Rocket (BFR). Why it matters: If successful, Maezawa will be the first ever private tourist to fly as far as the moon.